6.2 How Long Does Delivery Take? 6.3 How Long Is The Coffee Maker Guaranteed For? We’ve already mentioned in our review of the ECAM44.660.B by DeLonghi that we rate that maker as the leader in coffee makers for 2018 from an all rounder perspective, so naturally it would be good to explain why you would want to look at a different DeLonghi model at all. Well, just as it might be nice to have a Ferrari sitting in your driveway, the reality is that for many people, that’s not going to fall inside of the available budget. In the same way that you can still be quite happy with a much cheaper car, the DeLonghi Magnifica ESAM4200 also fits that bill nicely. It’s the same machine as the ESAM4200S in silver which is listed at a much higher price on Amazon at the time of writing (in case you were wondering if they’re different). Similarly, if you’re new to the bean to cup market and want a starter machine, this may be a good choice if you don’t want to spend that little more to get up out of the budget range into the mid range coffee makers. That’s the reason that this is the machine we’ve chosen to top our current chart of best buys. There may not be such thing as a cheap espresso machine when it comes to bean to cup, but as a coffee machine with milk frother that offers so much versatility in home coffee, this is a hard one to beat for the price. What you’ll get is very impressive with the ESAM4200, and this machine’s speciality is to make espresso and cappuccino, which will cover a very wide range of customers. A quick look at the statistics on Amazon will also show that customers really like this model too – at the time of writing there were approaching 800 reviews on this coffee maker, with an average rating of four and a half stars out of five – not bad at all. You can get the latest price by clicking the price check button. Let’s start with a run down of what you can expect from the DeLonghi Magnifica ESAM4200. DeLonghi have an incredible knack of combining quality with simplicity, and that’s a great trait to be attractive to all but the most experienced of home baristas. The choice is yours, if speed and expense are of the essence, you can use pre ground coffee with the ESAM4200, but, as you might expect, you can start from scratch and use fresh coffee beans to get the best results, ground to order. Pressure is everything when it comes to coffee perfection, and this machine won’t let you down. The professional grade 15 bar pump will give you the pressure you need in the coffee brewing process to get that cup to match the professionals in your favourite cafe. The DeLonghi simplicity can’t get any better than one press functions to make your coffee. From coffee beans to hot mug, the pre-configured one touch cycles will give you consistent performance time and time again. The ESAM4200 manual provides detailed information about each of the presets, and how to go beyond them if you’re feeling adventurous! For all of your coffee desires that need a splash or more of milk, this Magnifica comes complete with a frothing arm to heat and create a light foam to top your drinks, while heating the milk in the process. While this may not be the best latte machine, it’s still above average compared to other machines with a similar price tag. DeLonghi’s standard two year guarantee on the ESAM4200 means that you don’t need to worry about mechanical breakdowns, as you’re covered. Once the two years are up, you’ll be a coffee pro anyway, and most likely eyeing up a bigger and better machine! Typically, the best reason is price. In general, high street stores have to factor their premises into the cost of the items you buy, whereas online retailers tend to use out of town warehouses which are much cheaper to run than expensive high street or retail park locations, and can handle much more stock. E-commerce (online stores) also let you see prices and whether things are in stock immediately, whereas you’re often waiting around in the shops while an assistant wanders off to check things for you. Finally, if you pay buy credit card, you may have additional protection when shopping online, and some cards will go above and beyond in looking after you when things go wrong. Of course, you can find these machines on the high street, and whether you’re looking to buy an ESAM4200 in Argos, Currys or John Lewis, you might find a slightly cheaper price or get a longer warranty, but we prefer the convenience of shopping online over finding a parking space and getting through the crowds. What’s more, it’s quite unusual that any of those stores beats Amazon on price anyway in our experience. All retailers vary, but if you buy on Amazon, you can usually get next day delivery if it’s not too late in the day. If you’ve got Amazon Prime, that’s usually a free next day delivery too – unless you live somewhere that’s not covered. If you’ve not got Prime, give it a try, as Amazon usually offer a 30 day trial (unless you’ve had one already), which will cover getting your coffee machine to you fast! How Long Is The Coffee Maker Guaranteed For? This is a simple one to answer – the ESAM4200 comes with a 2 year warranty. One common theme which stands out with the DeLonghi ESAM4200 is the longevity of this machine. Of course, some will last longer than others, but many people comment of how flawlessly operation continues three or four years after buying this model, even when used multiple times per day. One common problem with buying online is that you’re limited to what the retailer tells you about the machine. This coffee maker is primarily marketed as a cappuccino and espresso specialist, but the comments from previous buyers clearly confirm that it’s great for lovers of the simple Americano too. If you’ve been looking, for example, for the best deals on espresso machines, then this is worth considering too, as it makes a great espresso and a full flavoured Americano, but also milk based coffees too. In other words, you may well get what you’re looking for after reading our ESAM4200 review, plus a lot more when you’ve got guests that like a different style of coffee. We’re not just about the positives here, we pick up on the gripes too, even if they’re few and far between. The cup warmer on the ESAM4200 can take a while to get the job done, so why not cheat a little and use hot water from the kettle as some innovative Amazon reviewers have suggested? Boiling water will warm even the chunkiest coffee mugs in no time! A common mistake people make is to buy a capable coffee maker and then buy the cheapest beans they can find in the supermarket. Grab some Lavazza Rosso as recommended in several reviews and you should be fine. You can get that on Amazon too if you’re so inclined – don’t assume the supermarket is the best option, there are plenty of other online specialists too. We’ve all wondered about whether that favourite mug will fit under the nozzle when we’ve looked at a coffee machine in the stores, and possibly even made the newbie error when getting the machine home of tilting it to get it under and then trying to work out how to get it out when full of hot coffee without flooding the kitchen. The ESAM4200 will handle anything from small cups (think espresso) up to a 10cm mug, which should just about cover you unless you bought the biggest mugs you could find! The ESAM4200 uses a pre and post use blast of steam to keep itself as clean as possible, meaning that you need to intervene less often. 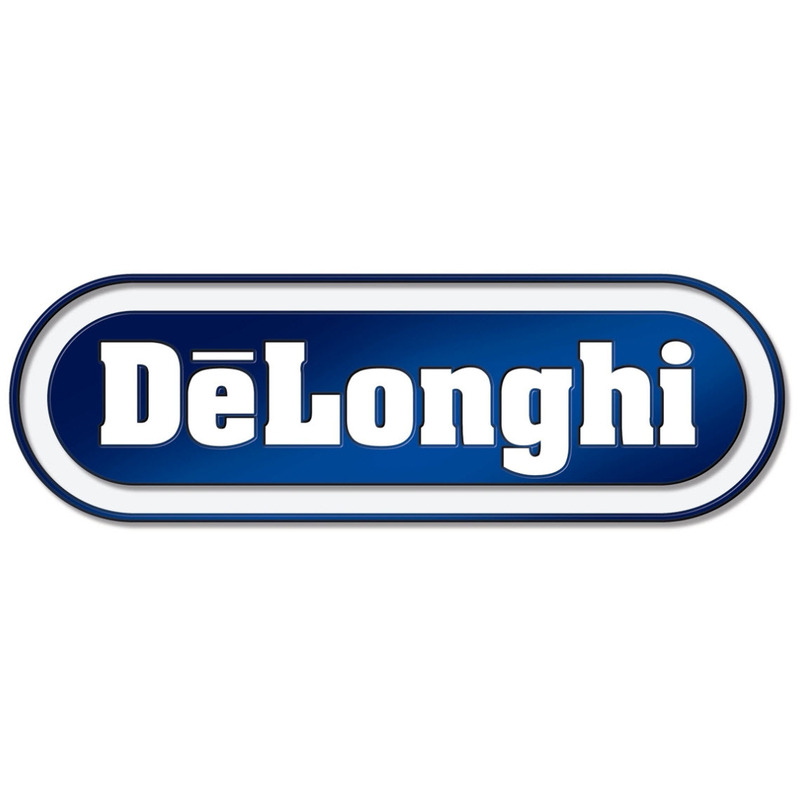 Maintenance, along with cost, are the two biggest factors that put people off when buying bean to cup coffee machines, so it’s good to know that along with the competitive pricing, DeLonghi have put a lot of time and thought into keeping cleaning to a minimum too. The machine even includes a warning when de-scaling is required, represented by the fourth light from the left in the bottom row of the control panel flashing red. To solve this, there’s a 15 minute cleaning cycle that can be used with de-scaler liquid to flush the system, from the water tank through to the frothing arm. Let’s be honest here, the Eletta ECAM44.660.B from DeLonghi would be our preferred machine if you compare the two and our recommendation if you can stretch to it, but if the household budget won’t stretch that far, this is a great coffee machine, especially for newcomers to self grinding home coffee machines. You’ll be investing in a reliable bean to cup coffee maker in the DeLonghi Magnifica ESAM4200, so it gets our full support as a great contender in the budget range of coffee machines, particularly for espresso and cappuccino lovers. If you’d prefer a smart black version of this machine, take a look at the ESAM4000.b from the Magnifica range, which is similar in all but colour!